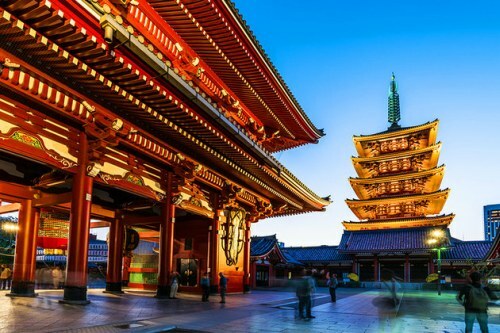 In about a week, Air China is going to be having yet another flash sale on their flights to Asia for $499 CAD roundtrip including taxes, but this time they're including Tokyo, Japan! There are also going to be flights available from Montreal to Taipei, Taiwan and Hong Kong for the same price. Sometimes the Air China flights have an overnight layover in Beijing, although they have sometimes offered their flights with just a 2 hour layover. We shall see. NOTE: Air China usually releases theses fares around 3 AM EST. In other words, you would need to stay up really late on Thursday June 15th (or get up really early the morning of Friday June 16th, depending on how you want to think of it). Try dates in September, October, and November 2017. Use flexible dates. They usually don't drop all of the dates down to the cheap price. Update @ 12:08 AM PST - The fares have been loaded. Here are the available dates to Tokyo. montreal, yul, flight deals, tokyo, nrt, asia, east asia, taipei, taiwan, tpe, hong kong, hkg and air china. 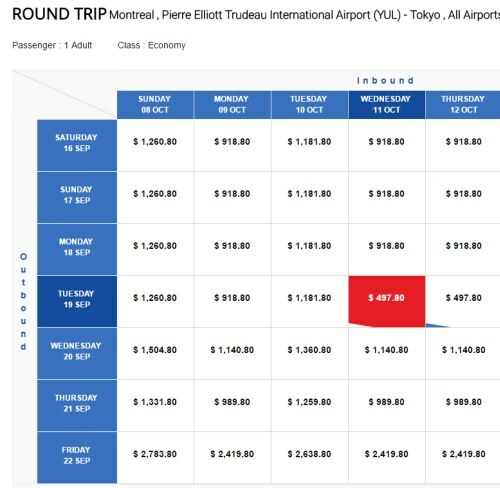 6 Responses to "Montreal to Tokyo, Japan - $499 CAD roundtrip including taxes"
I didn't see the price for 499$ at all??? Tried multiple different dates mentioned in the list above and no deals for $499. These did exist, but the number of dates was *really* limited. They would also disappear really quickly. Once more than one person searched for the same dates, they seemed to disappear as the Air China system put the tickets 'on hold'. Sometimes they would come back. Has nobody taken a screenshot of tickets from Montreal to Tokyo for 499? I spent the last 24 hours trying different dates and reloading pages, without ever seeing a single ticket at that price. Does anyone know if there are dates left? The issue may be with me, air china's website sure is a pain to navigate though.